UT is Estonia's leading centre of research and training. It preserves the culture of the Estonian people and spearheads the country's reputation in research and provision of higher education. UT belongs to the top 2% of world's best universities. The Institute of Social Studies provides a high-level education in journalism, communication, media, social work and policy, sociology and information sciences and is an esteemed centre of competence in these fields. QS University Rankings by Subject has placed our media and communication research among the world's best fields for six consecutive years by now, which is a unique result for the whole of Estonia. Our staff exceeds 70 members and over 700 students are enrolled in our programmes. The Institute is both traditional and new. Our fields of inquiry have broadened over the decades. Teaching of journalism started already in 1954 when a small group of specialisation was created within the department of humanities with a clear mission of preserving and developing Estonian language and culture within professional journalism against the hazards posed by the Soviet system. The schooling in library science dates back to even earlier: 1952 when vocational education of librarians begun in Viljand. Sociological research gained momentum from the middle of 1960s when the Sociology Lab was created in the university whereas the first sociology students were admitted in 1989 during the tumultous period of the dissolution of the Soviet Union. For almost decades journalism and communication, on the one hand, and sociology, social work and social policy existed in different departments and later institutes. Various disciplinary developments and structural reforms created an opportunity for joining forces and widening the breadth of collaboration between different units. 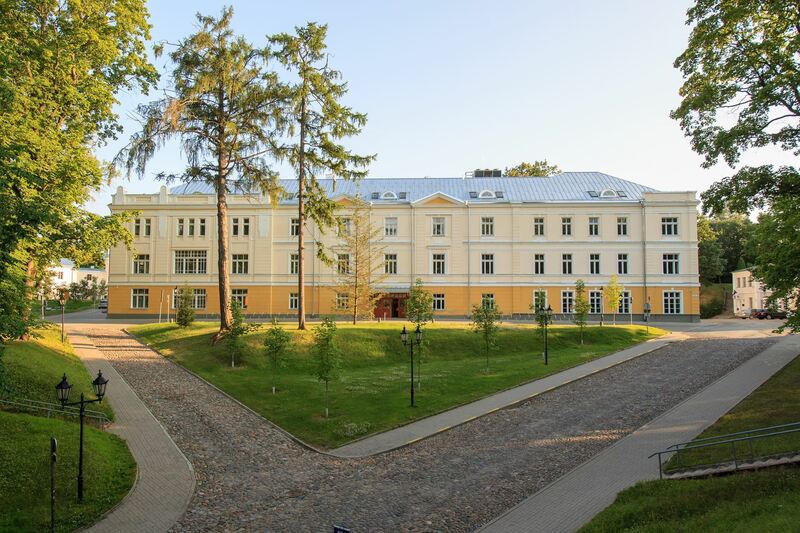 Therefore the Department of Information Education of the Viljandi Culture Academy merged with the Institute of Journalism and Communication in 2013. In January 2014 the Institute of Journalism, Communication and Information Studies and the Institute of Sociology and Social Policy joined into one unit. The reasoning behind that was to connect similar fields of studies and to catalyze deeper cooperation and synergy. Today, the Institute hosts 10 various curricula at all levels of study, which are constantly rejuvenated and up-dated based on recent developments of the fields of research, requirements of the job market, rapid societal processes and student feedback. Belonging to the Faculty of Social Sciences, the Institute has close cooperation with many other fields of teaching and research (political science, psychology, education sciences, economics) within our home faculty as well as beyond: with Arts and Humanities and Science and Technology. Our daily work is based both, the depth of discipline as well as a wider scope of collaboration which generates interesting new problems on the disciplinary borderlines. Overall, six chairs are engaged in communication within the information society; journalism; sociology; social work; knowledge management of organizations; information scienes; social policy; consumer culture and studies of everyday life; political communication and media usage. An emerging field that the institute is determined to develop is sociology of information society focusing on the problems of dataficaiton, digitalisation and information and communication technology saturated societies.